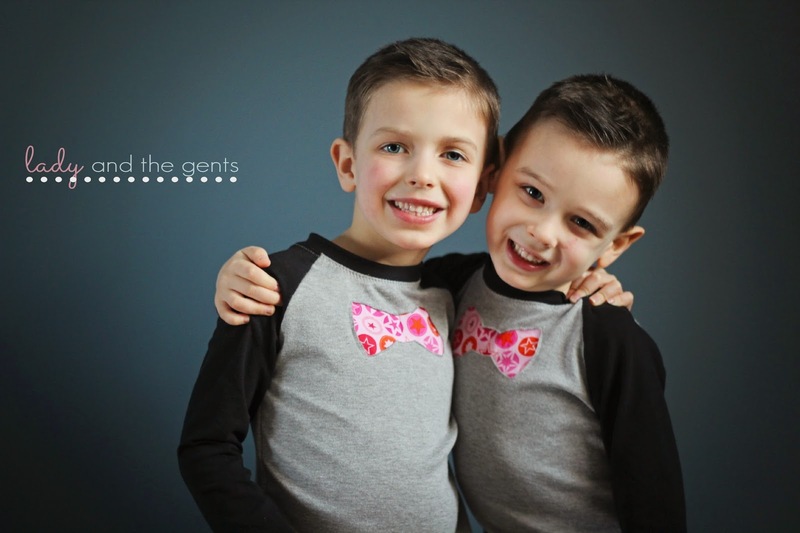 My husband and I agreed right from the start that we were do our best to not gender stereotype our kids. When our second son was born we bought our oldest his fist baby doll! Our little lady LOVES trucks and trains. And our middle son loves to dress up and play house! I am so excited to be part of this blog tour! Pink isn't just a girl color anymore. Check out Pinterest or a fashion magazine. Pink is everywhere! 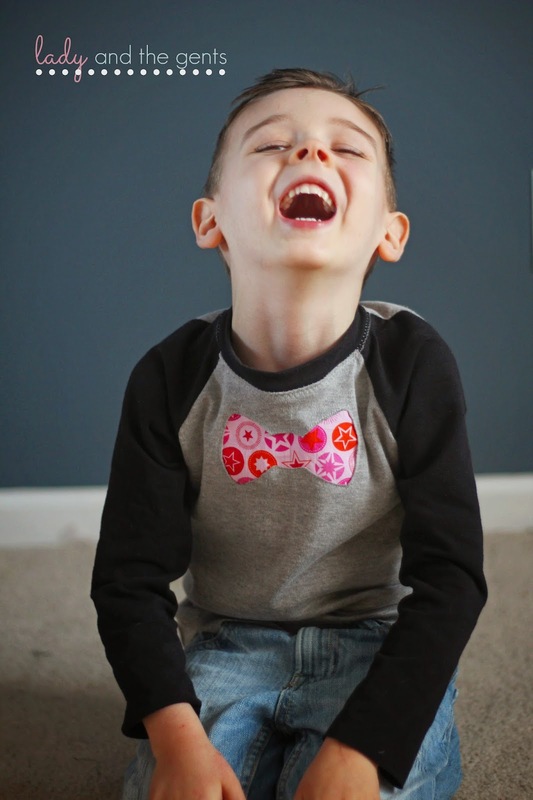 Boys of all ages are rocking pink and looking awesome doing it! My boys love all colors. If my oldest had his way, everything would be a rainbow! Doesn't that sound amazing? Pink doesn't just have to be for girls. And if you're afraid, then just do a little pink to start, and this is the perfect way to do it! A little pink accent is a great way to introduce this awesome color into a gent's wardrobe! 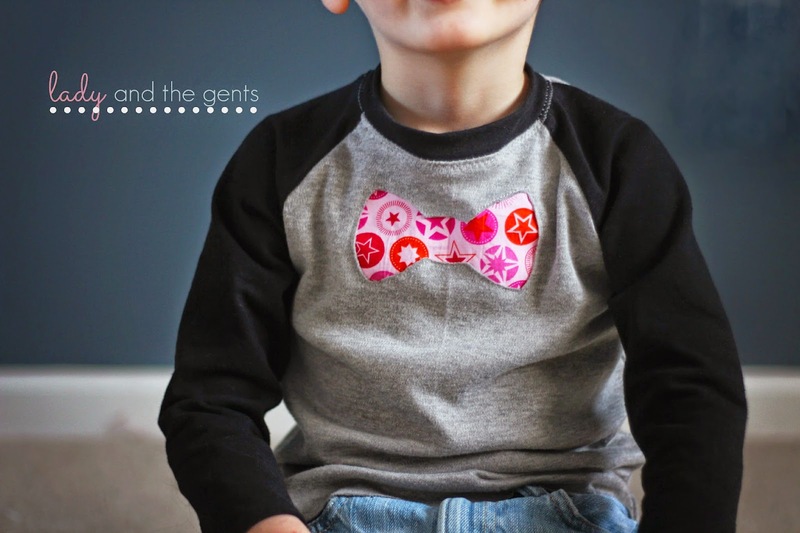 My boys adore bow ties, so I knew these pink bow tie tees would be perfect for them! 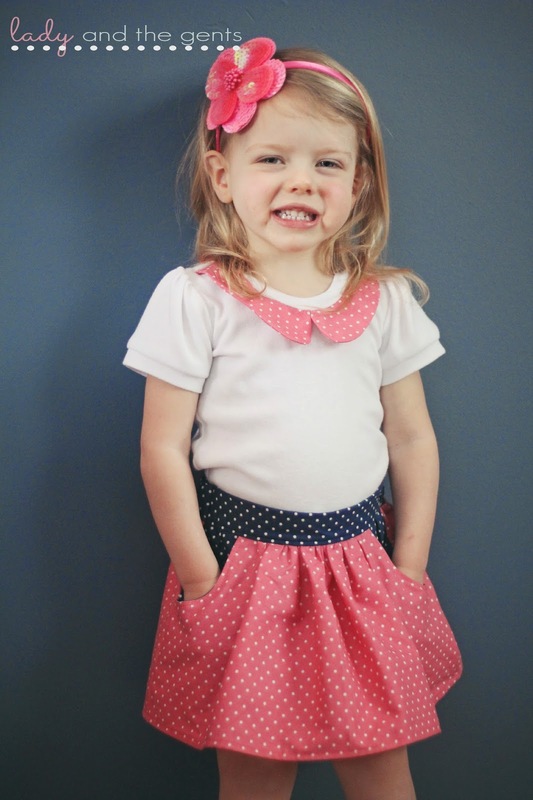 The pink star fabric is from Mabel Madison and it is to die for! 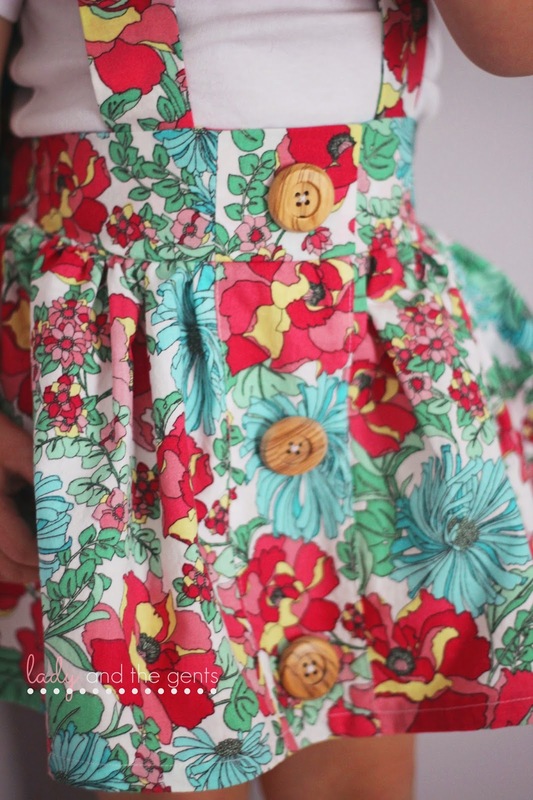 So buttery soft and sews like a dream! The saying is definitely true, "you get what you pay for!" This euro fabric may not be in everyones price range, but it is well worth it if you can afford it! This splurge was definitely worth it! The colors are gorgeous and the fabric looks wonderful after multiple washings! 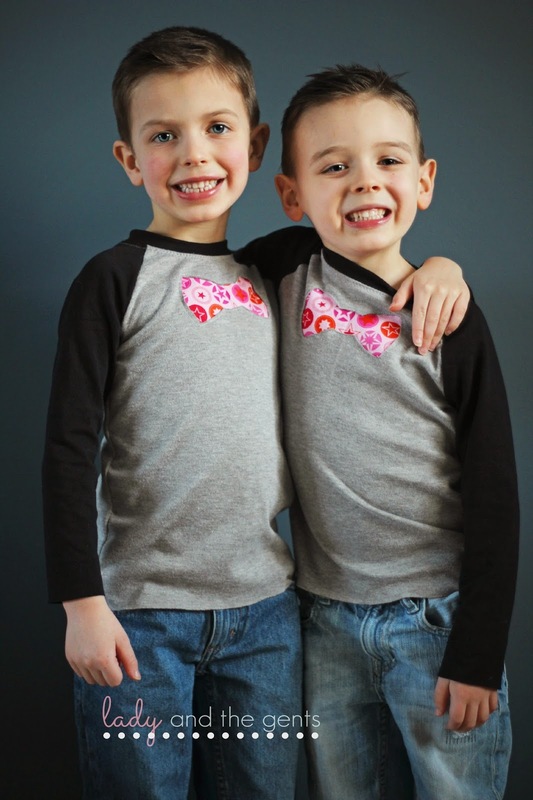 My boys have been waiting much too long for me to sew them something, and these Grand Slam Tees fit the bill! Fast, easy, and the fit is always great! It is one of my go to patterns. Take the leap! 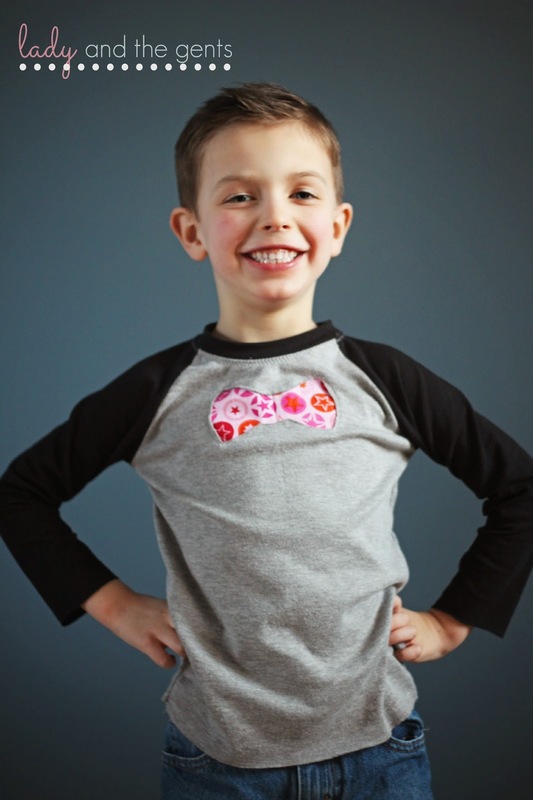 Sew something pink for a gent you love! I bet you will be surprised at how awesome it turns out! 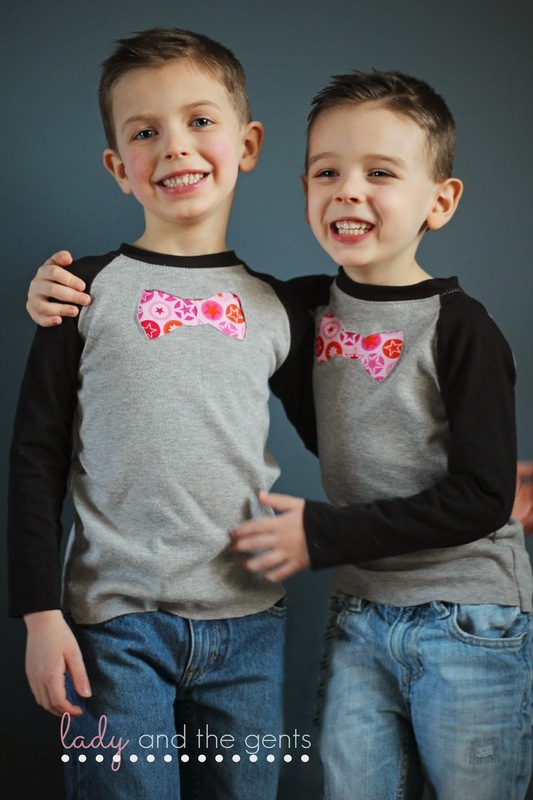 If girls can wear blue, then boys can were pink! Don't forget to check out all the other amazing bloggers on the tour, and take a minute to enter the giveaway below for a chance at some awesome prizes!! 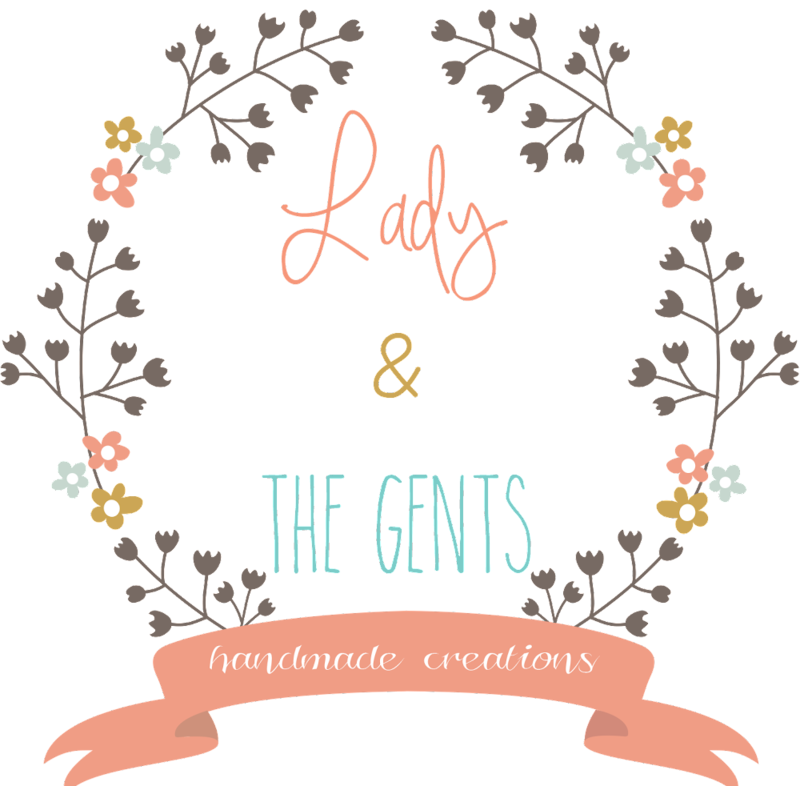 Special thanks to Kelly from Handmade Boy for letting me be a part of this!!! 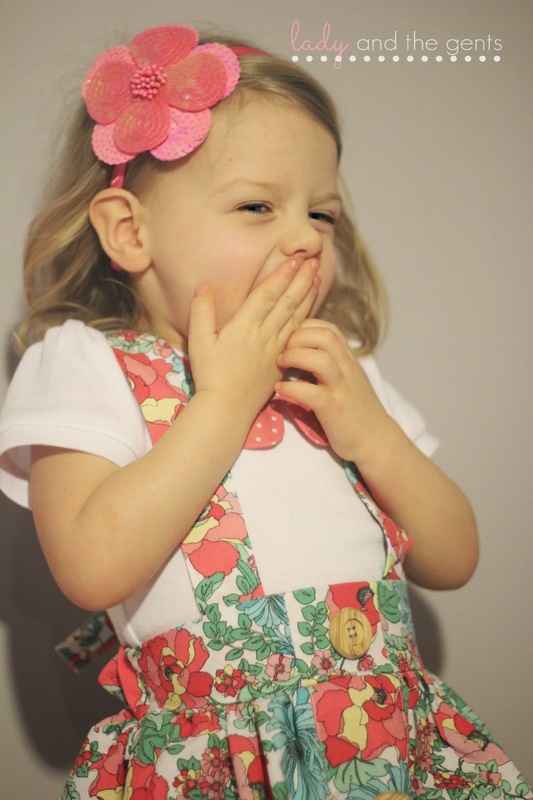 I have been sewing up a storm lately! I think it's because of the frigid temperatures outside, or maybe I'm finally getting my sewing groove back. 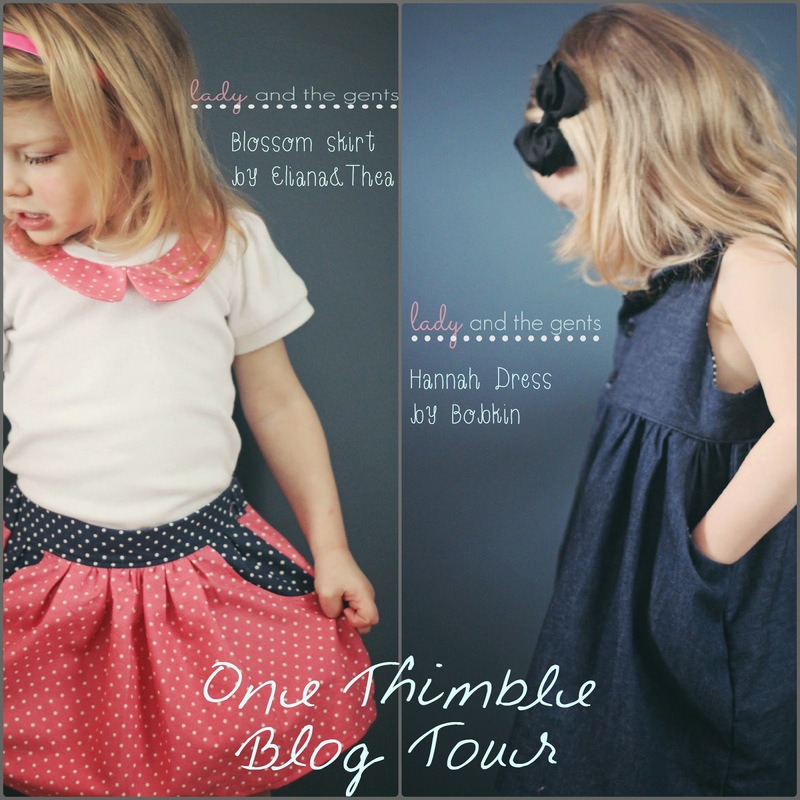 Either way, I'm super excited I get to be a part of the One Thimble blog tour again! If you haven't heard about One Thimble, it is a digital sewing magazine that releases quarterly and contains many many pdf patterns, along with amazing articles about perfecting your business, bettering your photography and sewing skills, and awesome tutorials. I had the opportunity to look over the entire magazine this go around and let me tell you, BUY IT NOW! You will not be disappointed. This magazine is chocked full of amazing articles, but my absolute favorites were "Taking you DSLR off auto" and "Pattern Matching". Both were very helpful and insightful! I was pleasantly surprised by home enjoyable and useful all of the articles were! If you run a small business, One Thimble has some wonderful ideas to boost your business, and if you haven't started one yet, they give you some great pointers to start selling! The tutorials and pdf patterns that are included are incredible! 10 patterns in all!! It's really an amazing deal at $25! I think it is a steal! 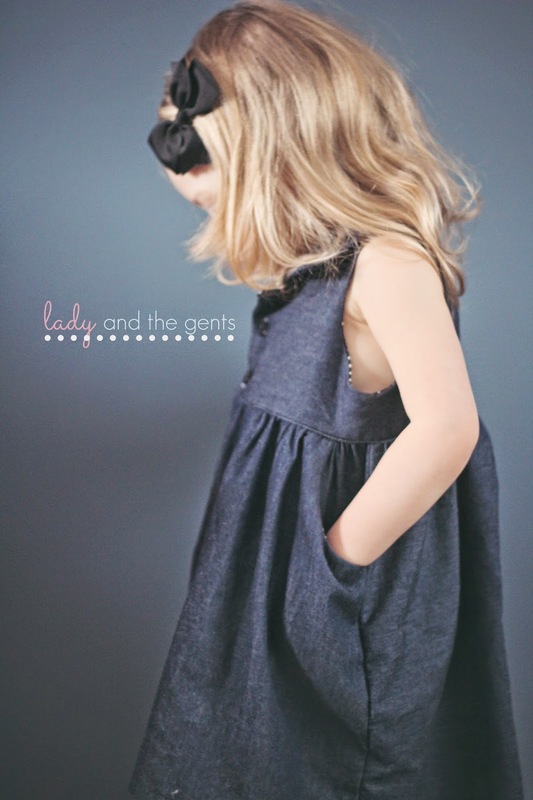 I love that there is a range of patterns, not only clothes but little finger puppets, an apron pattern(that is definitely next on my list of things to sew), and a great hat that fits a HUGE size range, including your biggest gents! With so many patterns included, it was so hard to pick which ones to sew up first. 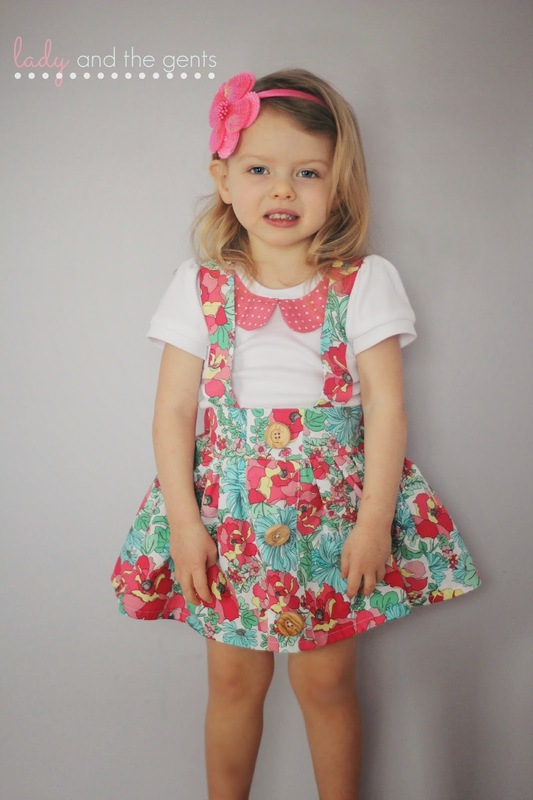 I decided on 2 for my little lady, The Hannah Dress by Bobkin and the Blossom Skirt by Eliana and Thea. This pattern came together easily was only took me about 3 hours, from start to finish. Maybe not a naptime project, but perfect to finish in one evening! 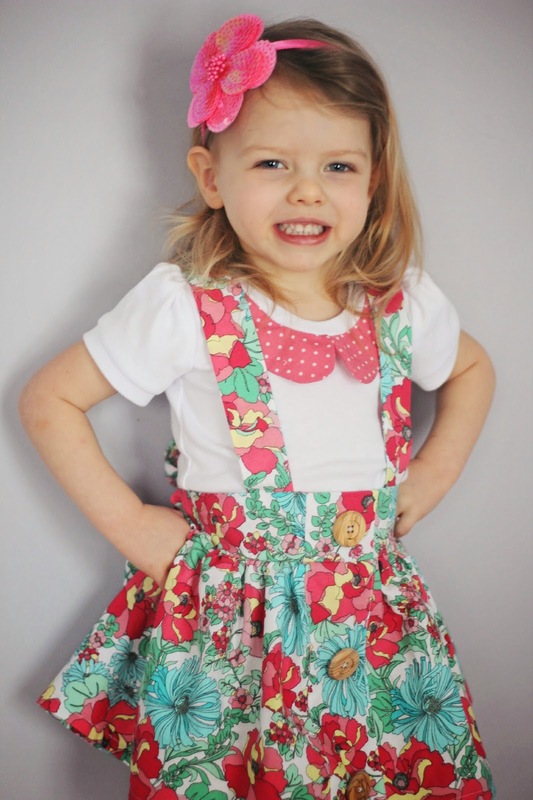 I have never sewn a Bobkin pattern before but after sewing this I will definitely be sewing more! The instructions was wonderful and easy to follow and the finished product is gorgeous! I chose this lightweight dark denim with black and white pin dot lining. 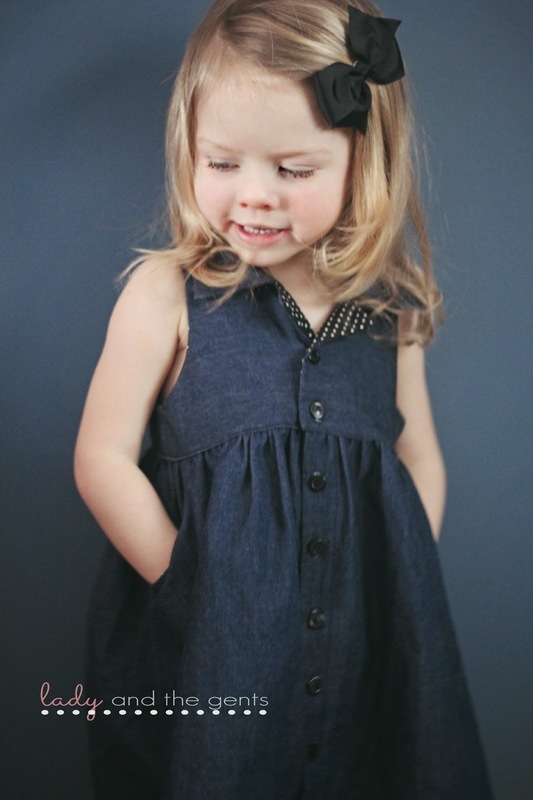 Every little lady needs a denim shirt dress in her wardrobe! This is the perfect pattern for all year round! Perfect for the warmer months, but incredibly cute layered with a long sleeve tee or cardigan and tights for the colder days! And a little birdie told me that the sleeves from the Sunday Best fit onto the bodice!!! I am buying it this morning to make this pattern even more amazing!! 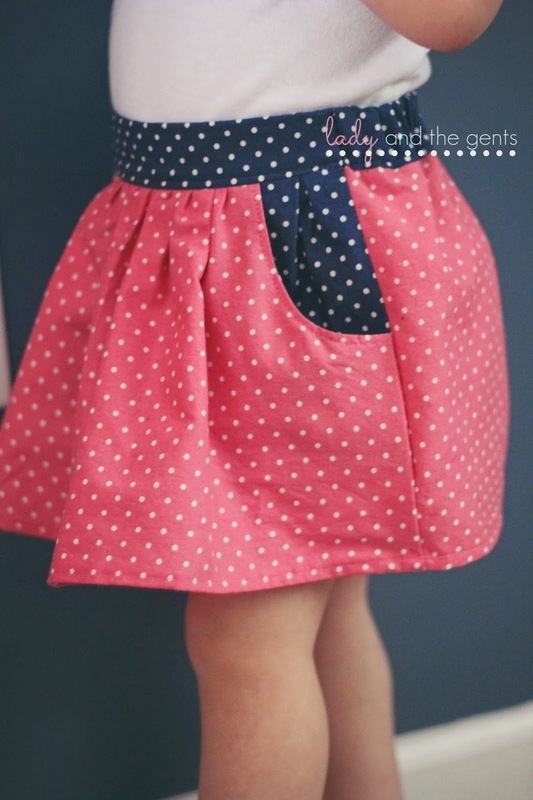 This skirt is so cute! I love the finished look of it! This took me about 2 hours with interruptions from kids and Hubby, so not too shabby! 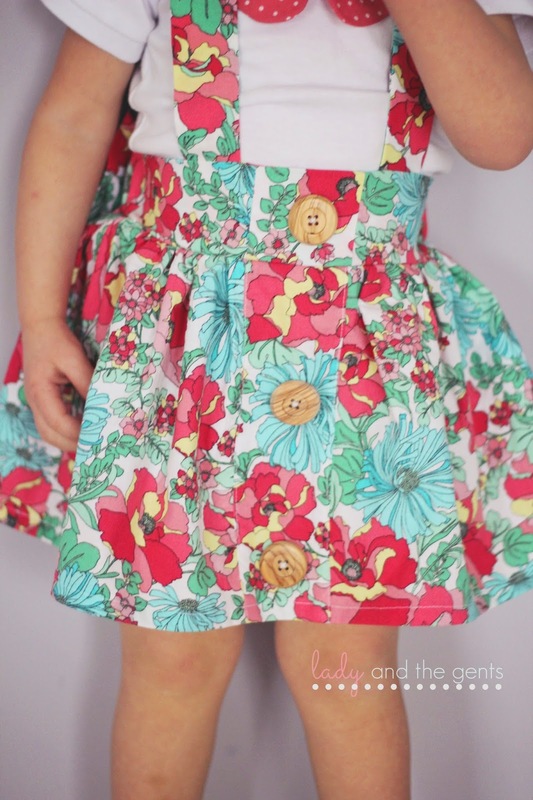 This skirt can be lined and even has a faux tulle petticoat look, but I chose to leave mine unlined with no tulle, since this will be an everyday skirt for my little lady! 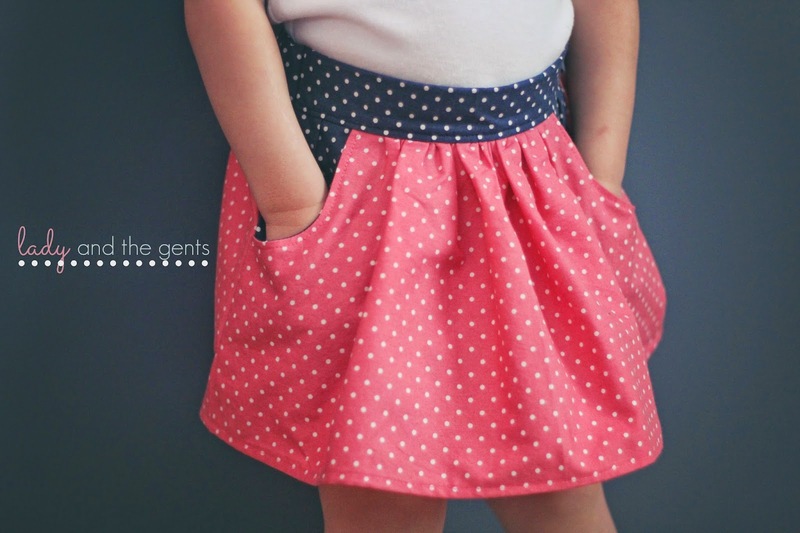 The tiny pleats in the pockets are just darling, one of my favorite details! 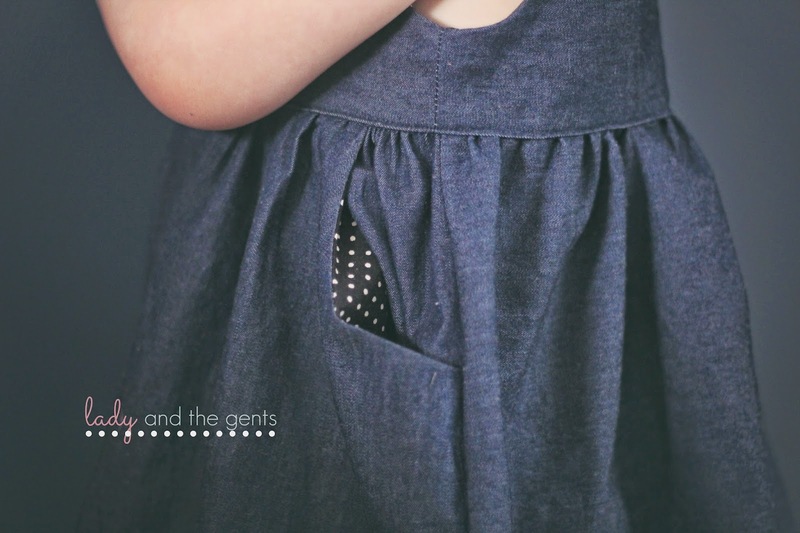 Pockets are becoming a HUGE HIT with my daughter! She loves putting all kinds of treasures in there, and is obsessed with walking around with her hands in her pockets! 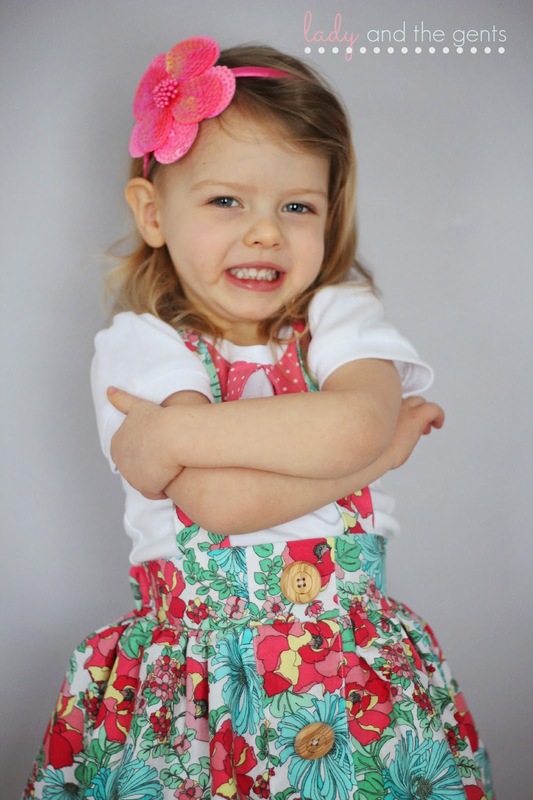 This skirt was obviously a big hit with her! I love the flat front waistband with elasticised back! 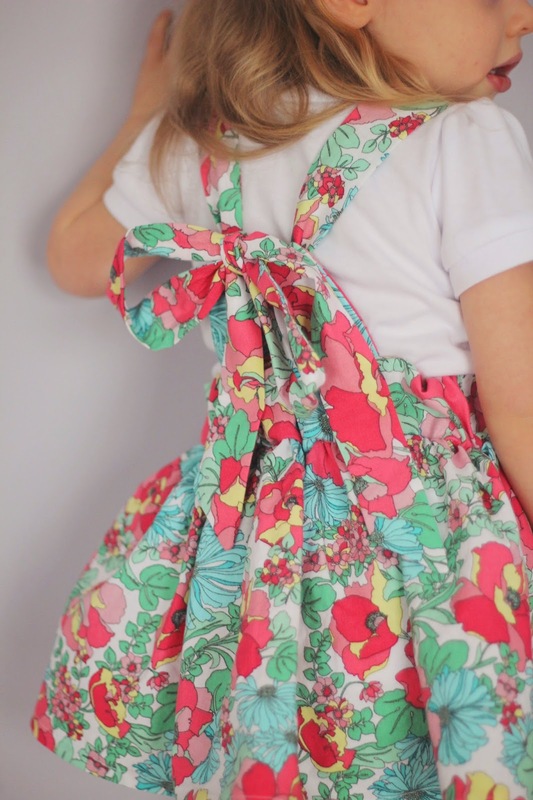 The pattern even includes 2 ways to make the back. I chose a casing and it worked beautifully! I also decided against the bow detail in the front since knowing my little one she would probably try to take it off! 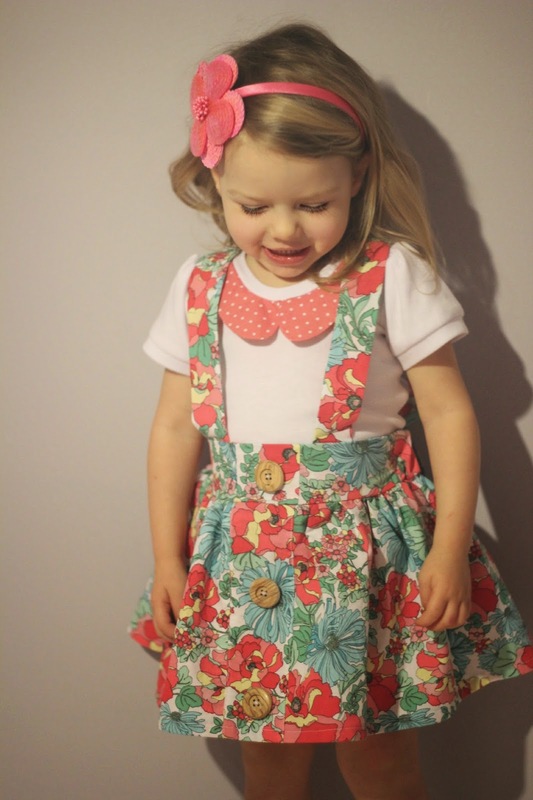 I really enjoyed sewing the up and will be making more for the warmer months that are hopefully on their way!! If you aren't sure about buying the whole magazine, even though I really think you should, don't fret! 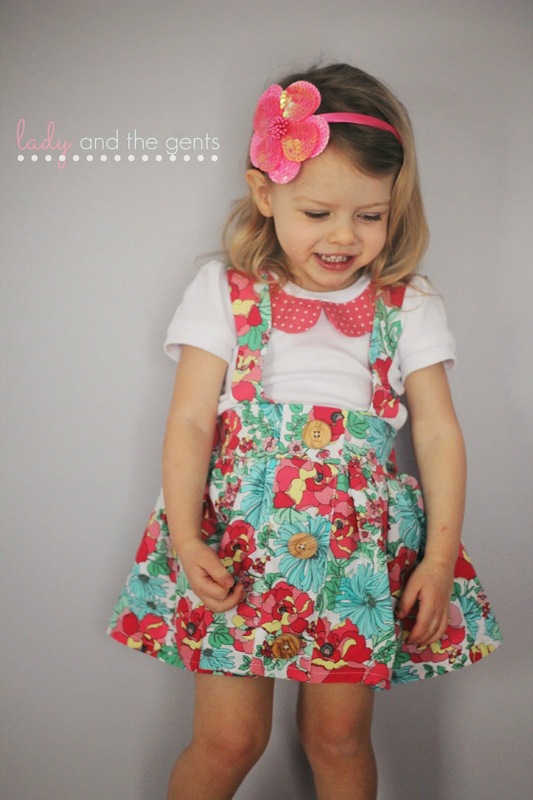 You can buy each of the patterns individually on the website. I really enjoyed reading through all the articles, and have already found myself going back and reading over some again. This magazine is great for sewists of all kinds! There is so much information in it you will definitely not be disappointed. Anyone who has thought about started up a sewing business should really get this! There are numerous articles on helping your business, such as writing good product descriptions, that would be extremely useful! Thanks so much for stopping by! 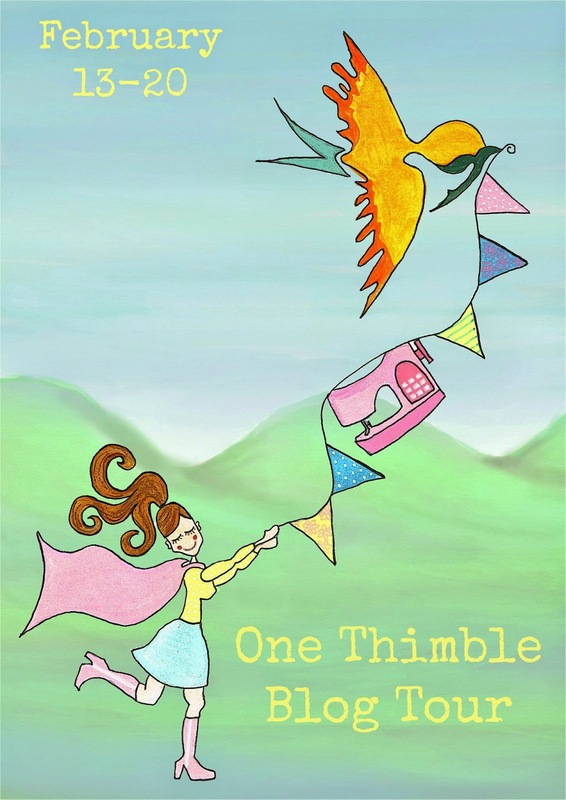 Don't forget to check out all the other amazing bloggers in the One Thimble Blog Tour! Happy Sewing! I am ready for spring. I am so sick of the snow and cold, which means I am now sewing for warmer weather, even though my thermometer outside is still reading 10 degrees. Short sleeve tops and cute little skirts can be worn with sweaters and tights so it's ok, right?!?!? I am very fortunate that I get the chance to test for many designers, but one of my most recent tests for a favorite designer has just blown everything else out of the water! The Charlotte Collar Top and The Samantha Suspender Skirt from Made for Mermaids were just released and I was lucky enough to test both!! When deciding what fabric I was going to use, I was really wanting a basic white tee, so I used a simple white interlock fabric, with white ribbing for the collar and armbands. 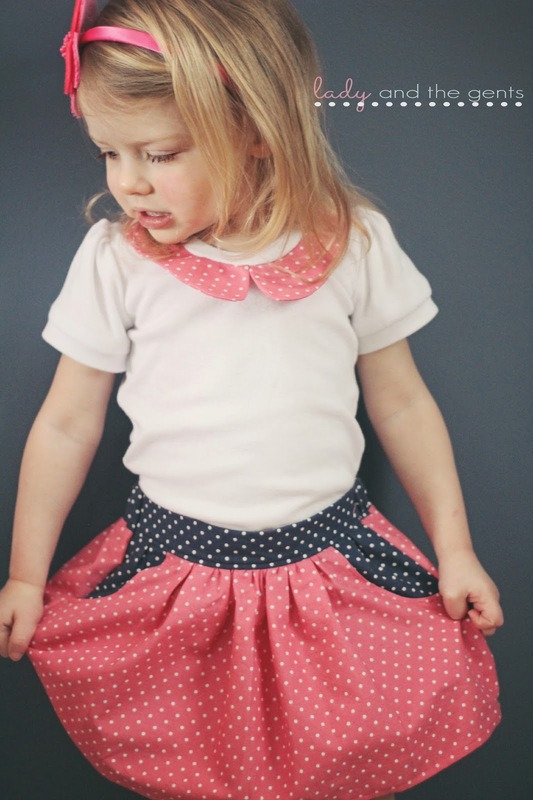 The collar is a coral and white polka dot that ties in the skirt fabric perfectly! I chose the rounded collar option and really love how it turned out. The instructions for the collar are fantastic and the outcome is a beautiful collar that lays so nice!! The puff sleeves are so darling! Since making this version, the armbands were taken in a bit in the final version. I mashed up the size 1/2 with the 2 length, since I wanted her to be able to wear this top for a long time! Now on to the skirt!!!!! I found this AMAZING floral fabric at my local JoAnn Fabric Store and fell in love! It screams spring to me and it had the exact look I was looking for! 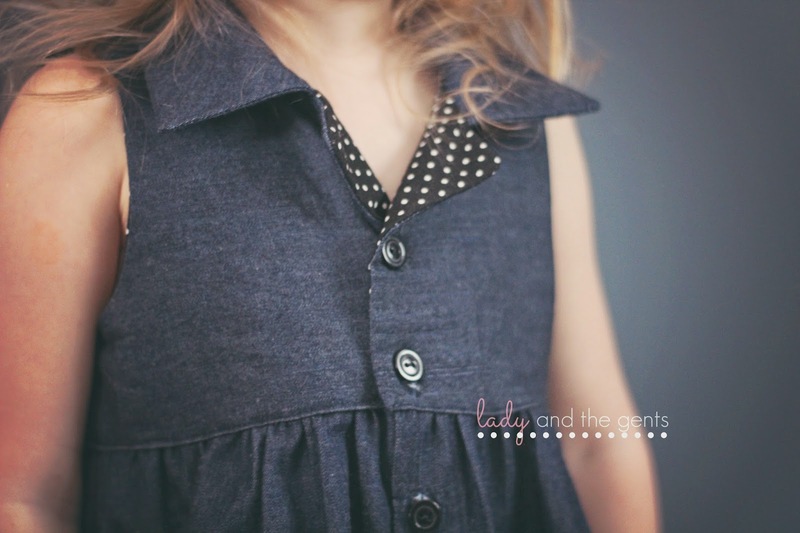 The faux button placket is awesome and so easy to do! 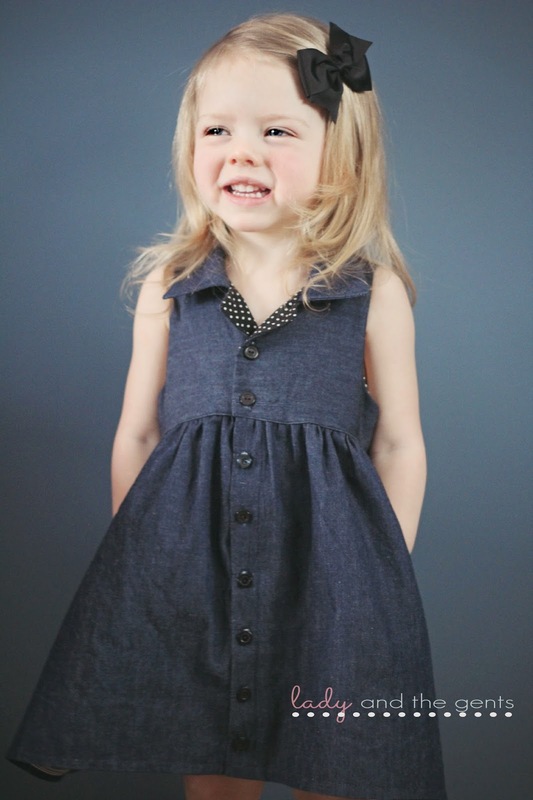 I love the look with BIG BUTTONS down the front, and so does the little lady! Should we talk about the back??? I think we should! Let's just say it's the BEST! The tie back suspenders may be my most favorite part of this entire outfit! 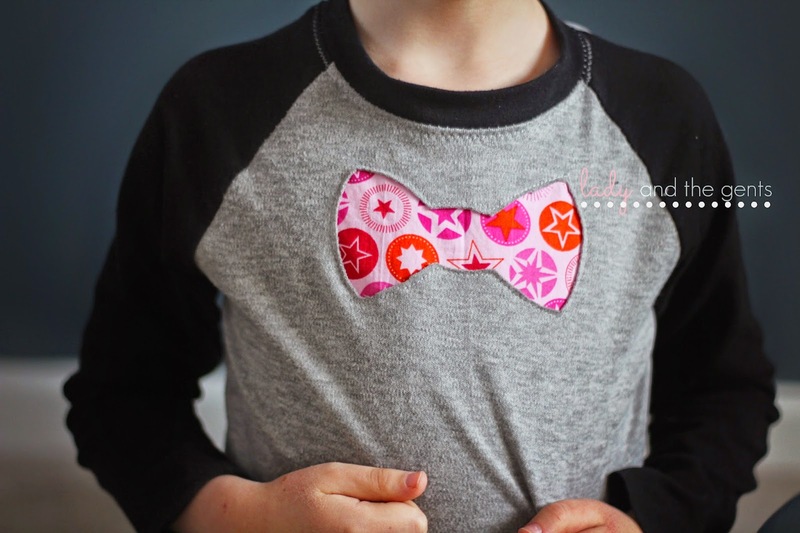 And moms of older girls who don't want a bow, this would be a super easy fix! 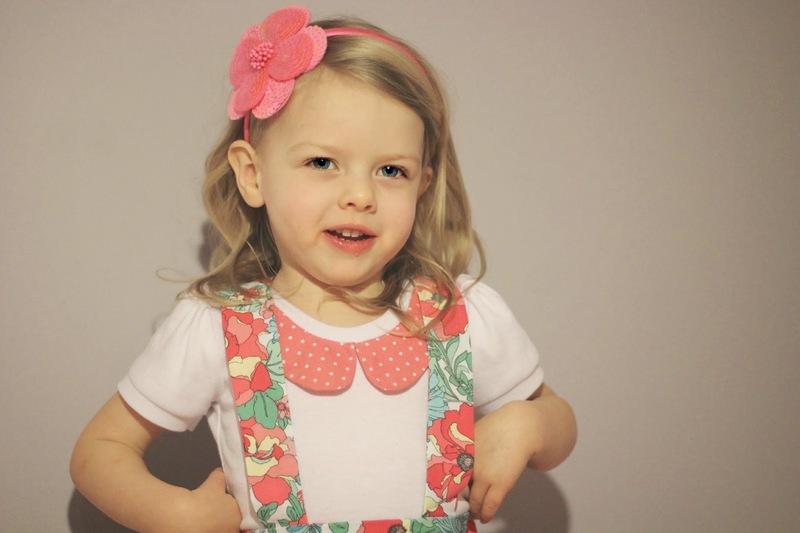 Shorten the suspenders and add buttons for easy removal! 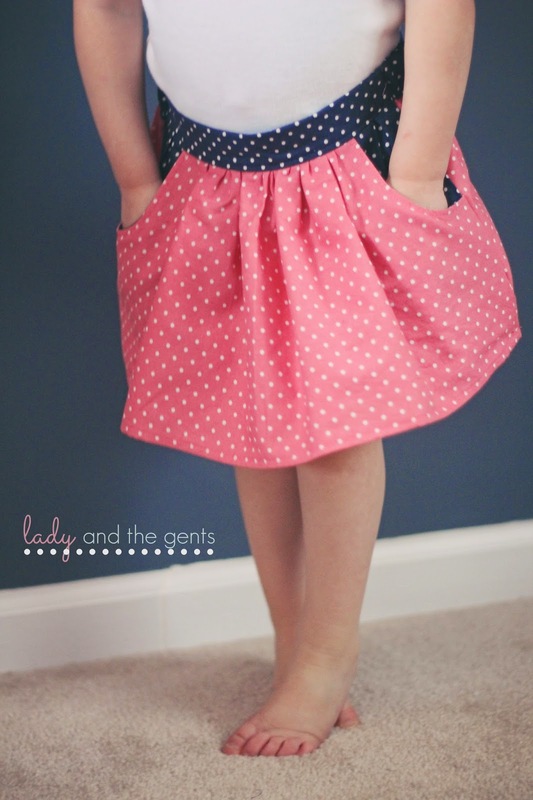 I think I may do that for my next skirt! 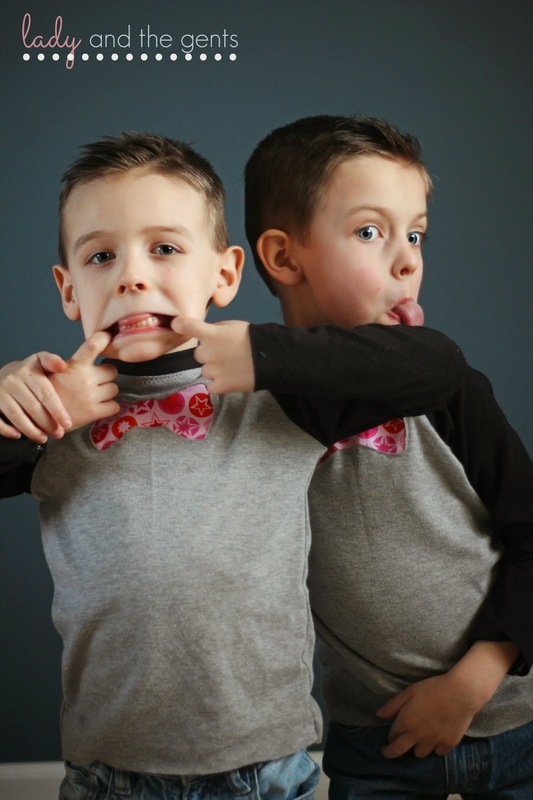 Or leave the suspenders off all together and you have another amazing look! 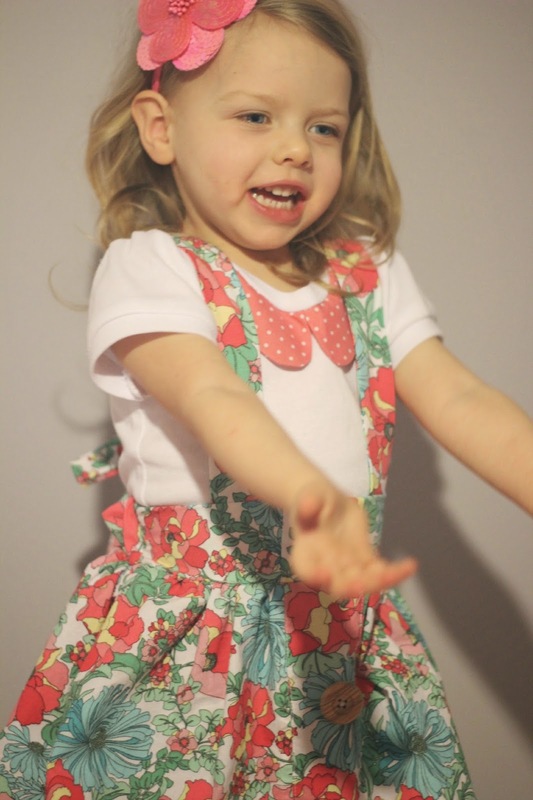 This little lady adores this new outfit so much she let me take photos two days in a row!! She didn't want to take it off! The sizing on these patterns are perfect! These are both size 1/2 with 2 length, perfect for my tiny little thing, but enough room for growth!!! And both patterns are super easy to adjust if you need to mash sizes like I do! You can't go wrong with either of these patterns! 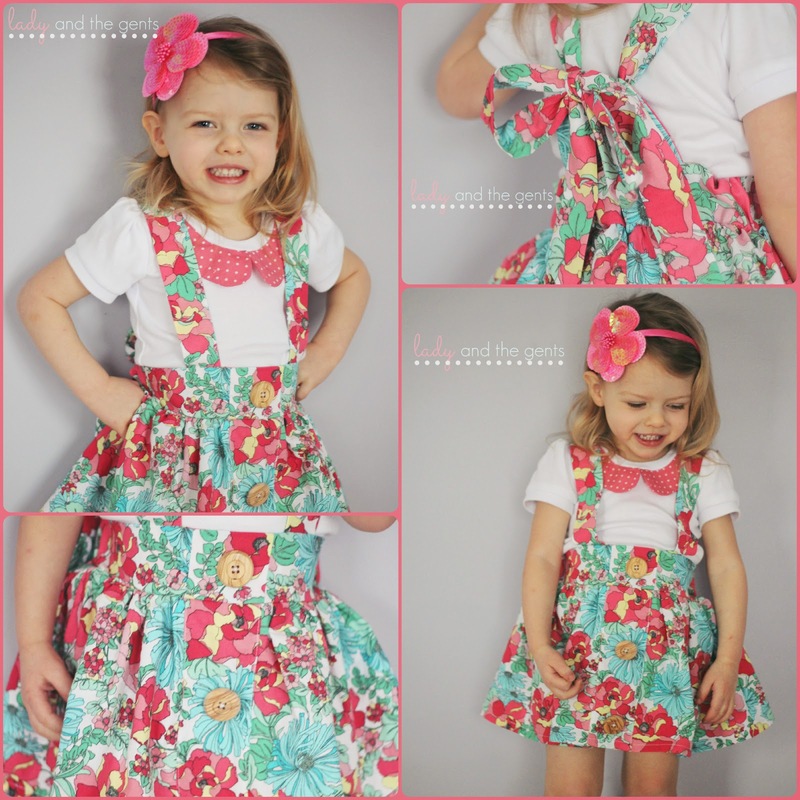 Both are going to be a must have for the little ladies in your life! Ready for the best part?? 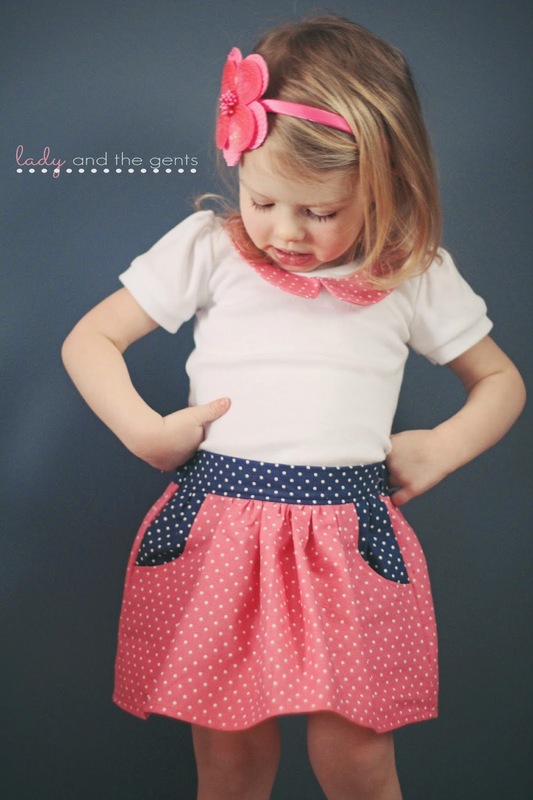 Megan from Made for Mermaids is graciously giving away both patterns to one of my lucky readers! How awesome is that?!?!? Make sure you enter below for your chance to win both of these awesome patterns!!! Giveaway ends 2/12 at midnight EST! !